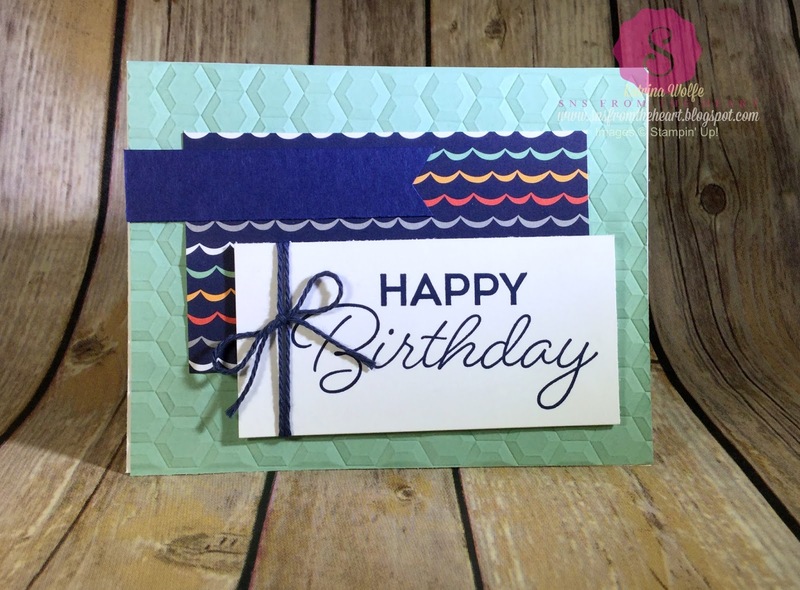 This card uses the brand new stamp set Birthday Blast, the new Hexagons Dynamic Embossing Folder and new Sale-a-Bration DSP Carried Away. I have to tell you, I am just LOVING on these new Dynamic Embossing Folders! The amount of texture and dimension is just amazing! Just a tip though, when using these folders, you will want to lightly spritz your paper with water to allow the paper fibers to soften a bit to allow them to stretch and mold to the folder. That's what gives you such amazing dimension. Run the Mint Macaron piece through the Big Shot with the Hexagons Dynamic Embossing Folder (remember to spritz the paper lightly) and apply to the Whisper White card base using Liquid Multipurpose glue (this works best when working with textured cardstock). Center the DSP onto the card using adhesive of choice, I used liquid glue since I had it handy. Banner the end of the Night of Navy strip and adhere that to the card. 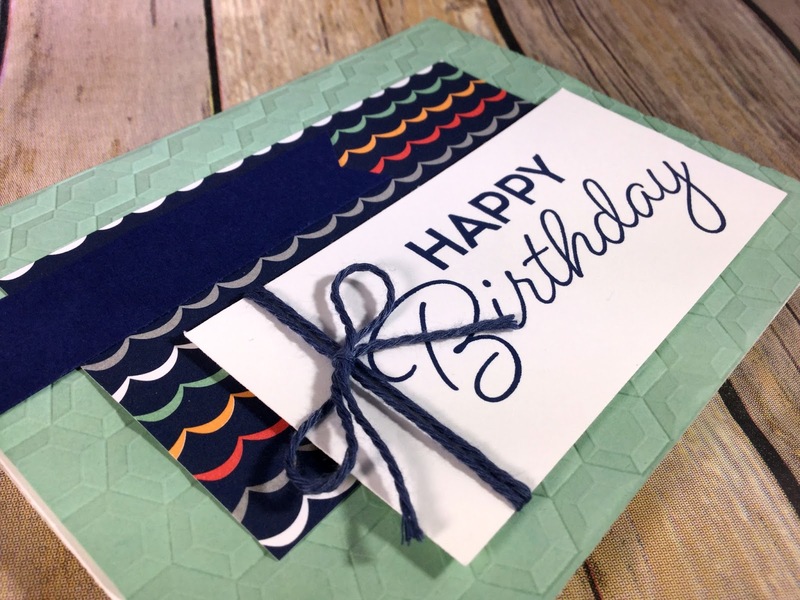 Stamp the Happy Birthday from the Birthday Blast stamp set using Night of Navy ink and wrap with the Night of Navy twine and tie a bow, trim the tails and using Stampin' Dimensionals, adhere to the lower, slightly to the right of the card. I hope you enjoyed the card and I hope you've seen enough to help you fall in love with these new products as much as I have. Please feel free to leave a comment as I love hearing your feedback and I wish you all a wonderful evening.